With meteorological events such as the polar vortex, we’ve had no shortage of extreme weather recently. One of the things that makes these cold snaps so horrible is the effect that they can have on wildlife and pets, who are always at risk of freezing to death if they don’t have adequate shelter. 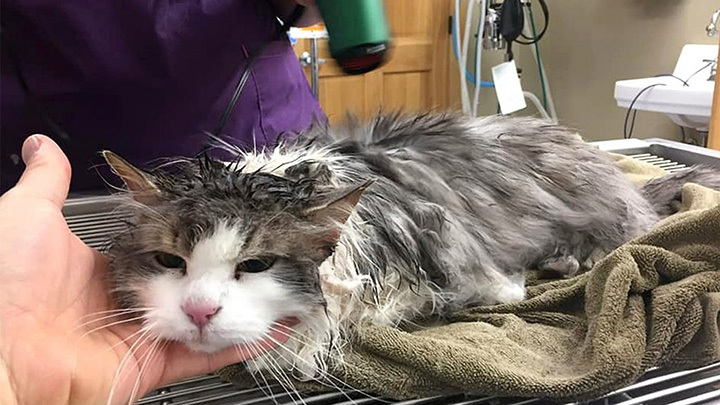 Luckily, there are people out there who make it their life’s work to care for vulnerable animals, such as these vets in Montana, who nursed a cat back to health after it was found “frozen and unresponsive” buried under snow. 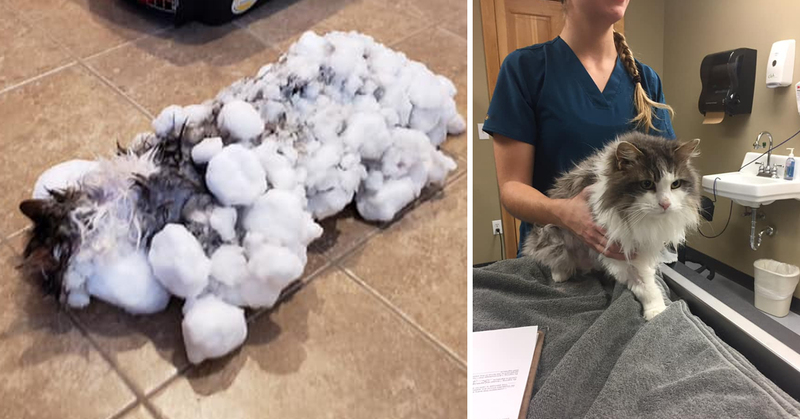 Fluffy was found with snow and ice frozen to her fur in the Montanan city of Kalispell last week, when temperatures dropped as low as -13C. The photo below demonstrates how the cat looked when her owners found her. Fearing the worst, her owners rushed her to the Animal Clinic of Kalispell nearby. Amazingly, the cat was so cold that her body temperature didn’t even register on the facility’s thermometers. But after a few hours of vets using warm blankets and a hairdryer to warm her up, Fluffy began to show signs of recovery, slowly but surely. The clinic, posted pictures of the cat’s recovery on its Facebook page, which have since gone viral. It is quite remarkable to see the transformation in just a few hours, and to think that the adorable kitty survived the horrible situation she was in. The US has experienced record low temperatures in recent weeks with some areas in the Midwest hitting -49C. They were blamed for at least 21 deaths among human beings, and countless animal deaths. Fluffy survived thanks to the expert care of the veterinary team. The final image shows Fluffy looking like she is back to her usual self. The clinic posted alongside the images: “Amazing success and survival story from this week. Some clients found their injured cat buried in snow. They brought her to us essentially frozen and unresponsive. We couldn’t agree more. 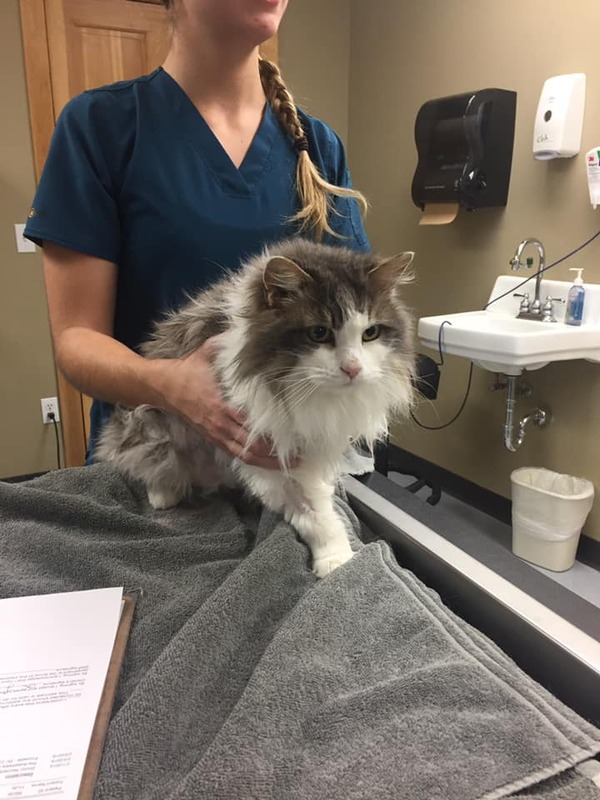 Thank goodness that Fluffy made a full recovery – well done to the amazing staff at the Animal Clinic of Kalispell.